Don’t know much about CO? Here are the basics. What is carbon monoxide? Carbon monoxide (CO) is an odorless gas produced when heating oil, gasoline, coal, wood, charcoal, kerosene, propane, or natural gas are burned. What causes a buildup of CO? CO buildup usually occurs for two reasons: poor ventilation or damaged / improperly maintained equipment. What kind of risk does carbon monoxide pose to homeowners? In high amounts, carbon monoxide can cause CO poisoning, which can lead to illness, unconsciousness, or even death. 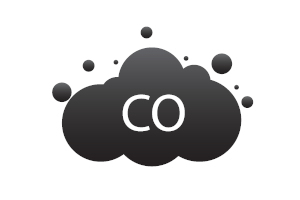 What are the symptoms of CO poisoning? Symptoms of CO poisoning vary depend on the amount of exposure to the gas. How can I avoid having CO problems in my home? Learn the signs and symptoms of CO poisoning, and teach your family what to do if they experience them. Stay safe all year long in your Connecticut home! Contact Hocon Gas today to learn more about great equipment upgrades and maintenance services for all your home comfort systems.